Litotes is defined as 'an ironical understatement in which affirmative is expressed by the negation of the opposite'. In this figure of speech, the usages are intentional, ironical and provide emphasis to the words. This is mainly done through double negatives. To put it in simple terms, in litotes, instead of saying that something is attractive, you say that it is not unattractive. In literary circles, plenty of poets as well as writers have used this concept to convey strange and vivid images. It changes the thought process and thereby beautifies and adorns the literary works. Most of the literary works describe litotes in such a way that the words described are not false, but do not come near a complete description of the action in question. Rather, they are presented in a passive tone and demand more careful attention from the reader. 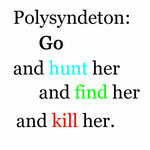 Even figurative language use litotes to convey messages in a clear and impressive manner. 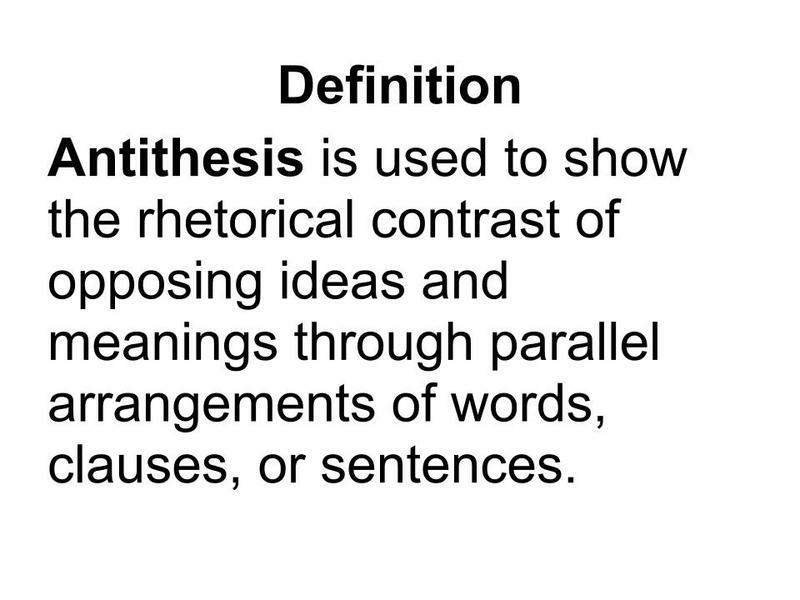 Аntithesis - a figure of speech which contrasts ideas, words and concepts in one sentence. However, contrasting words like bittersweet, dark-light, etc. aren't antithesis. To be an antithesis, a sentence should have contradicting words positioned in a balanced way in a phrase or a clause. 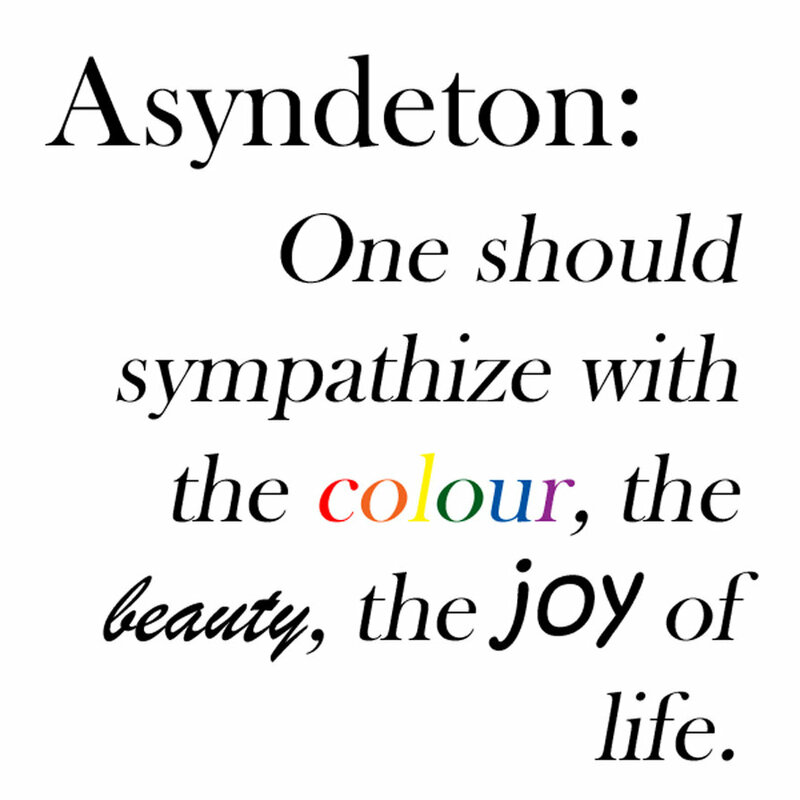 Antithesis examples can be commonly spotted in novels, poems and quotes. In fact, you can find people often using quotes like 'to err is human, to forgive is divine' to inculcate good acts in others, which is a very valid example of antithesis. Antithesis is normally used to give out the exact opposite meaning of something. Opposites are not always for arguing or conflicting with each other; it is just the way you use to describe two different moods. Read on to get a clear idea on antithesis.